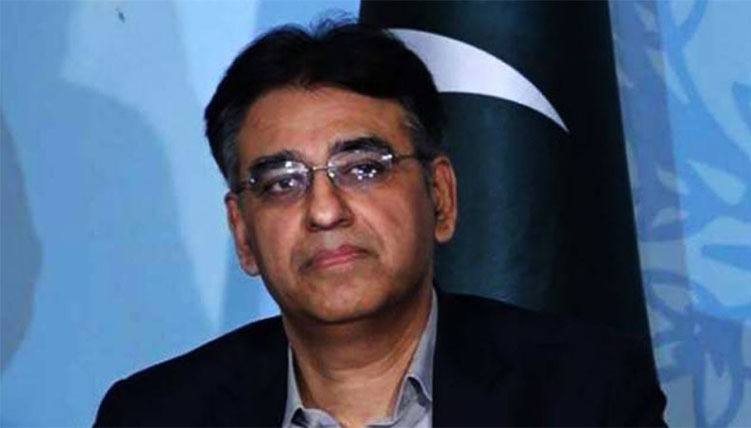 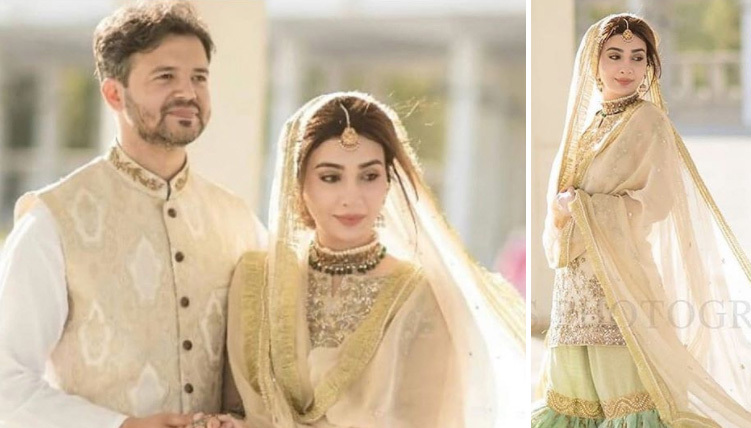 It is near to impossible that pretty girls look “beautiful” on whole of their wedding. 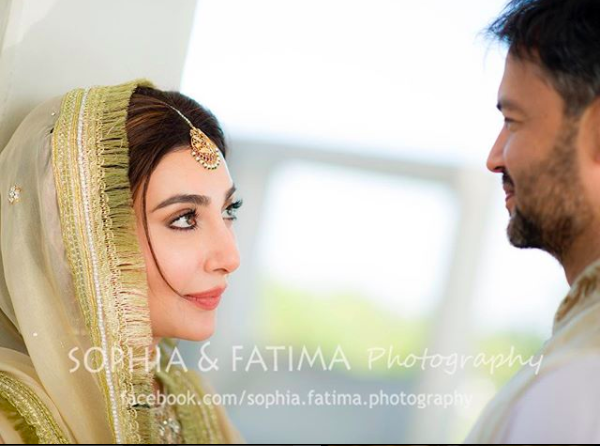 Well we are experiencing it on Ayesha Khan’s wedding. 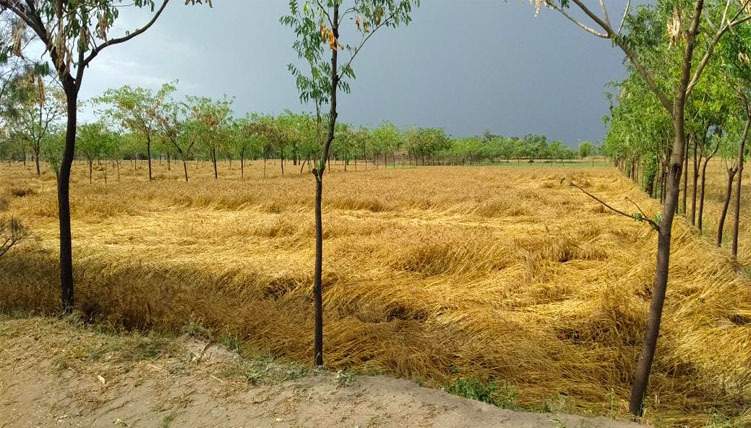 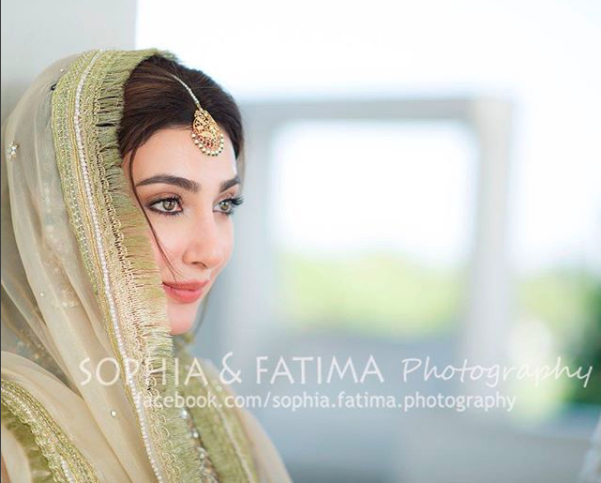 She looks more beautiful on every successive function. 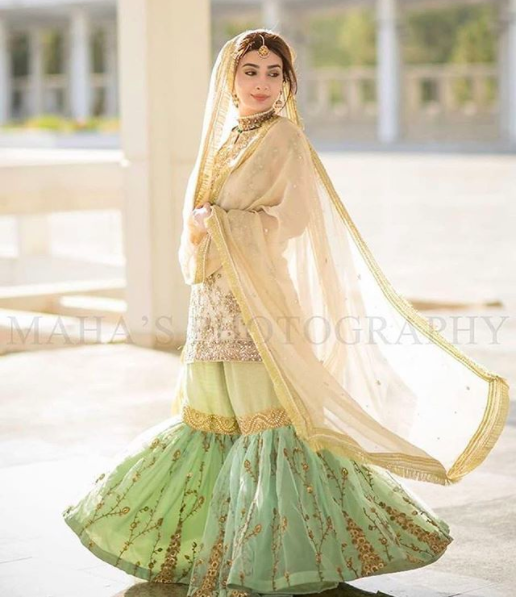 Be it mehndi, mayoon or nikkah, she is looking stunning. 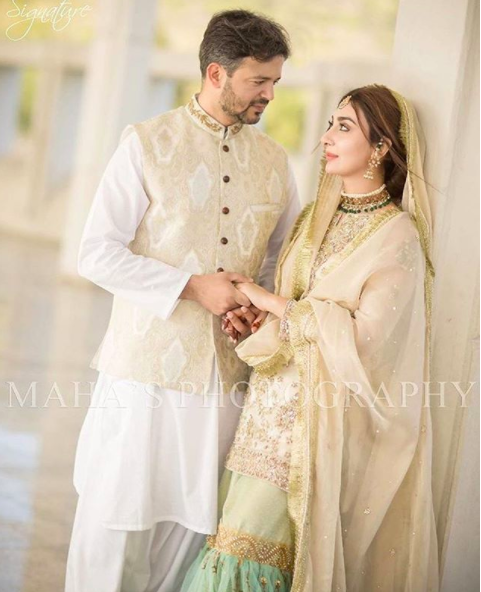 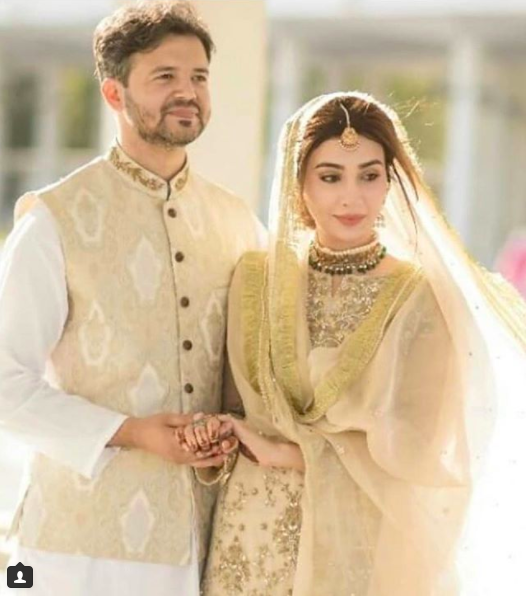 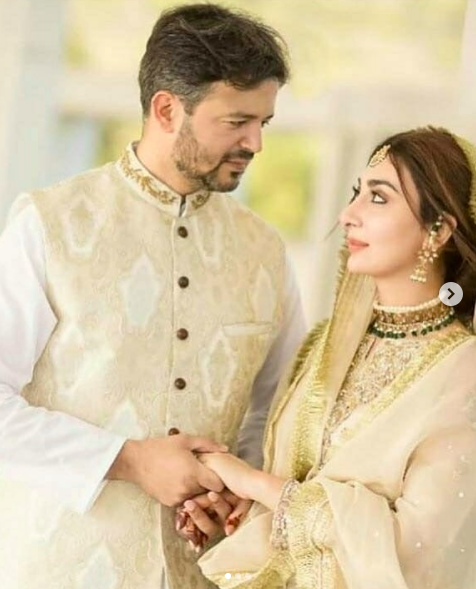 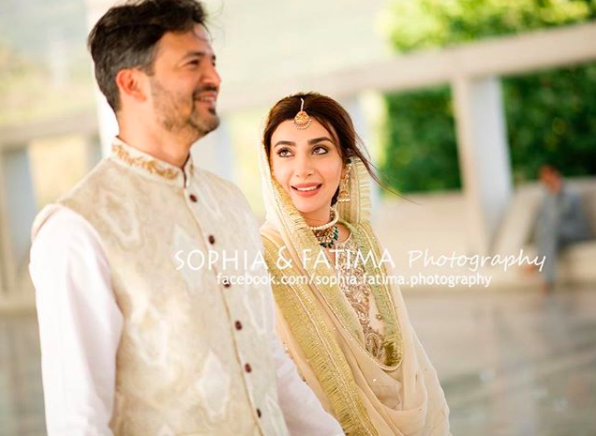 Here is a traditional Nikkah photoshoot of Ayesha Khan with his ‘now’ husband, major Uqbah.